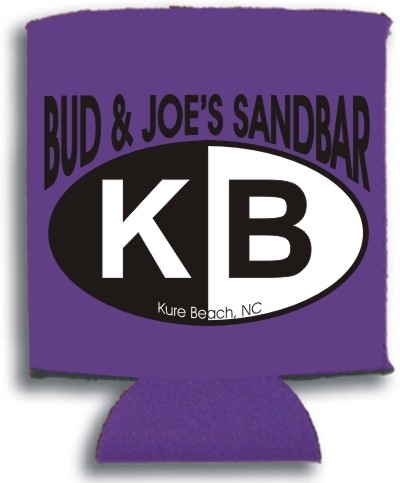 Kure Beach bar, BUD & JOE'S sandBAR Lowell, NC Cool Stuff! 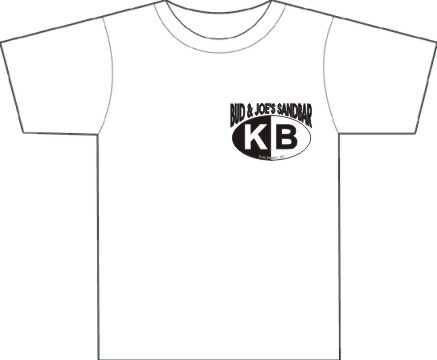 Cool Bud & Joe's Stuff! 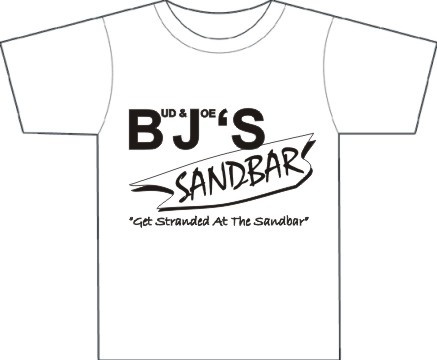 We've designed a Bud & Joe's Tshirt to help you remember your time at Kure Beach and especially at Bud & Joe's. These T's are pigment-dyed and incredibly soft with worn-in color and they get better with every wash.
*Real pictures could not be provided because... Well, truthfully we want you to come in and check out the best Tshirts EVER! Front side of the best Tshirt EVER! The back side of the best Tshirt EVER! Don't forget we have Koozies! Lots of Different Colors To Choose From.